The comic strip "Cathy" first launched more than 40 years ago. At its height it ran in nearly 1400 newspapers until cartoonist Cathy Guisewhite retired from daily strip creation in 2010. Guisewhite has now turned her pen to writing humor. 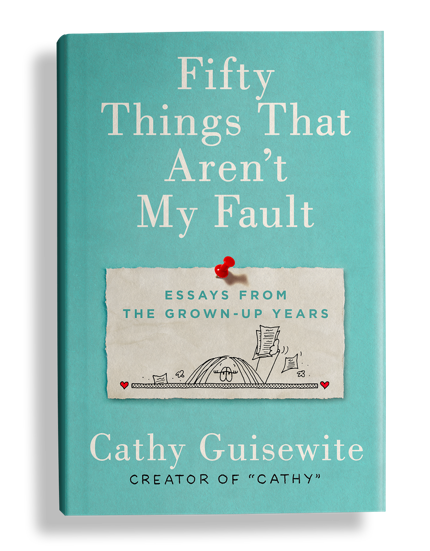 Her new essay collection, Fifty Things That Aren't My Fault, includes explorations of parental guilt, food guilt, daughter guilt and career guilt. More than that, it's a rallying cry for women who are too tired to take further responsibility for things that were never their fault in the first place!